156498 on the 09.27 Carlisle-Leeds. 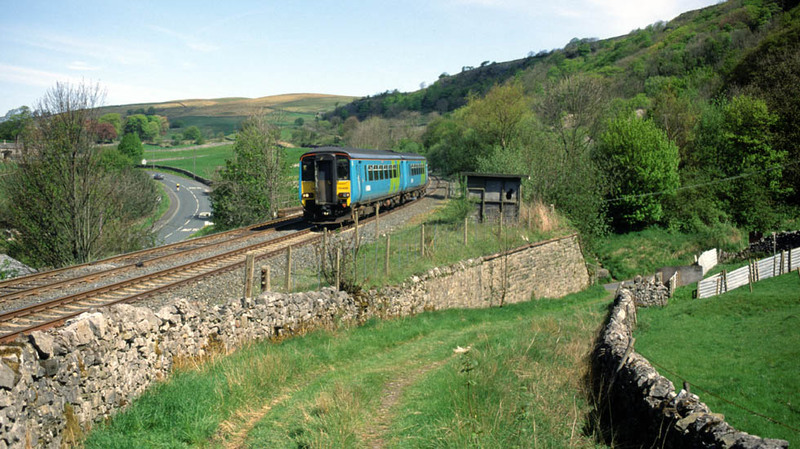 The train is approaching the village of Langcliffe and has just passed the former Stainforth Sidings, the village of Stainforth being half a mile further back. The large array of sidings of Craven Lime Works were on the right where the trees now stand and the company began moving its products in 1873, over two years before the line was fully opened. A public footpath runs behind the dilapidated platelayers cabin and goes right through the middle of the former industrial complex.